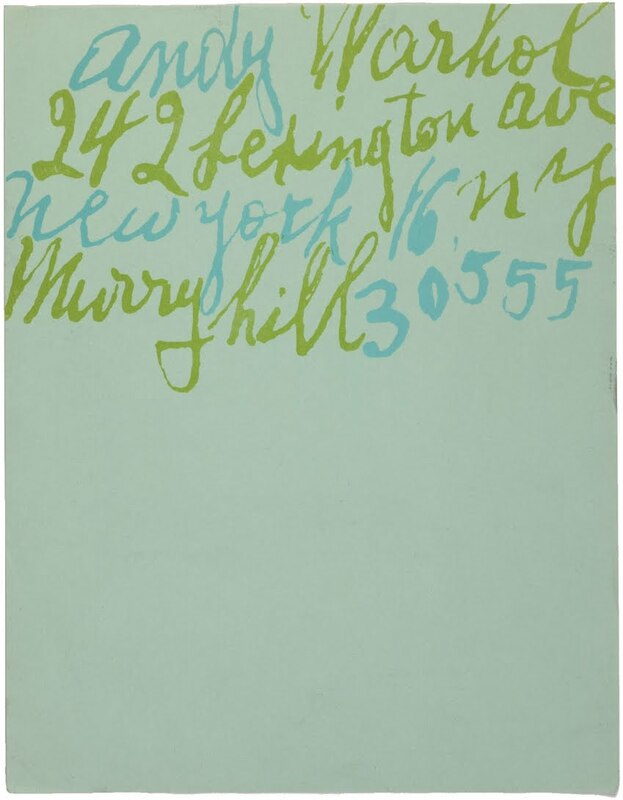 This Andy Warhol letterhead was our favorite find this week on the wonderful site, Letterheady. 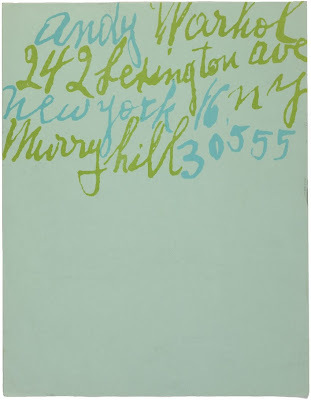 Warhol moved into his apartment at 242 Lexington Avenue in the summer of 1953. He lived at this address until 1960, when he bought a town house at 1342 Lexington. His friend Emile de Antonio said that, "the town house was bought by shoe ads." This was true... in fact, at the time, Andy was paid commercially for countless drawings of shoes, hats, scarves, perfumes, and handbags. It was with this money that Warhol was able to buy 1342 Lexington. We absolutely love this letterhead from his days at 242! FABULOUS! Just love this fascinating insight. 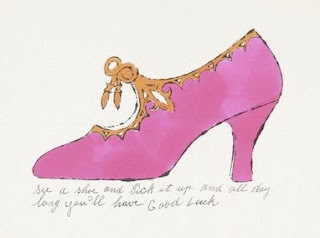 Love both his stationery and the very lovely shoe drawing.